This new edition of The Caucasus is a thorough update of an essential guide that has in-troduced thousands of readers to a complex region. 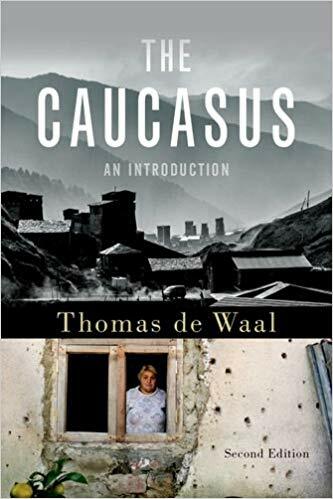 This new edition of The Caucasus is a thorough update of an essential guide that has in-troduced thousands of readers to a complex region. Armenia, Azerbaijan, Georgia and the breakaway territories that have tried to split away from them constitute one of the most diverse and challenging regions on earth--one that impresses the visitor with its multi-layered history and ethnic complexity. Over the last few years, the South Caucasus region has captured international attention again because of disputes between the West and Russia, its unresolved conflicts, and its role as an energy transport corridor to Europe. The Caucasus gives the reader a historical overview and an authoritative guide to the three conflicts that have blighted the region. Thomas de Waal tells the story of the "Five-Day War" between Georgia and Russia and recent political upheavals in all three countries. He also finds time to tell the reader about Georgian wine, Baku jazz, and how the coast of Abkhazia was known as "Soviet Florida." Short, stimulating, and rich in detail, The Caucasus is the perfect guide to this fascinating and little-understood region.